For the first time, SCWF is offering very rare "environmental" prints from Artist Jim Booth in an online auction. Bidding is open now and will continue until December 11th at 12 noon. 100% of the proceeds will benefit the wildlife education and conservation programs of the SCWF. These 5 unframed prints up for auction are Artist Jim Booth signed and numbered limited edition and very rare "environmental" prints with gold seals and certificates of authenticity (signed & numbered prints limited to 95 copies). Sold out Jim Booth prints regularly appraise at over $1000. OR, with any donation of $35 or more, you can choose a FREE unframed print from other artists in our "SCWF Print of the Year" collection! Click HERE to see the prints you get to choose from! Then donate through the button at the top of this email and our staff will contact you to choose your print. 1. Click HERE to view the prints and their current bids. 2. Click the "Start Bidding" button to register as a bidder. You will need to enter a credit card number to begin bidding. If you are not the highest bidder, you will be charged nothing. 3. Enter your bid on the desired print. You will receive text messages each time you are outbid so you can follow the auction. Bidding Questions? Call our office at (803) 256-0670, Monday-Friday, 9am-4pm. Print details: All 5 of these prints are unframed, and dimensions are 31.5" x 19.5". Receiving your print: If you are the highest bidder, we will be happy to ship the print to you, or, you may pick it up between 9-5 Monday through Friday at our office (as we are a small staff who often travel to other parts of the state for education and advocacy purposes, please call the office before coming to pick up your print). You may also pick up the print on December 11th from 4:30-6:30 at our office during our Holiday Open House. About the artist: Jim Booth, a self-taught artist, has become widely known for his life-like realism. Jim reaches into the viewers’ minds and touches their positive and pleasing thoughts. A very prolific artist, he uses a wide range of themes to communicate with as many people as possible. 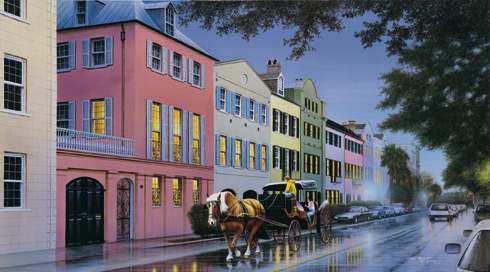 His art recreates the history of Charleston’s lowcountry. 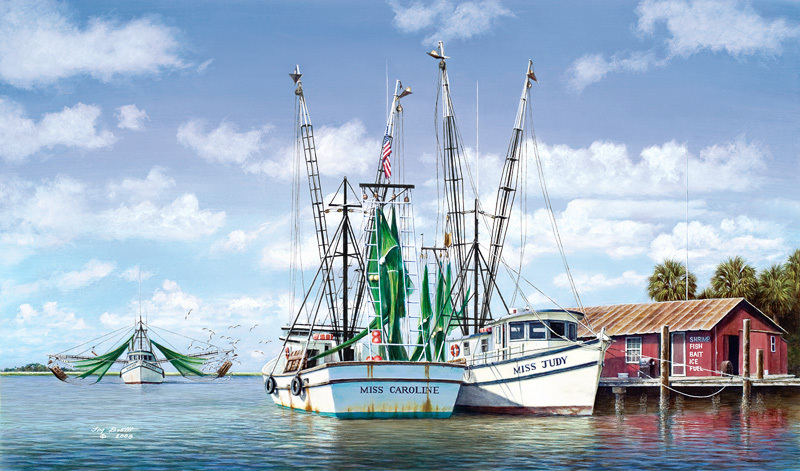 With works that span the millennium, Jim paints scenes of the Civil War, antebellum Charleston, the early 1900’s and into the present with the Citadel, Hurricane Hugo, and the Morris Island Lighthouse. Jim’s exquisite details are a time machine that guides his guest through Charleston’s heritage.